As we grow, we hope to extend our reach through like-minded partners. There are many wonderful organizations that share our heart and passion for supporting parents who find themselves walking through seasons of grief and loss. While we are each uniquely positioned, our burdens and our goals are the same. Together we can bridge gaps, open doors of communication, and extend support and care. 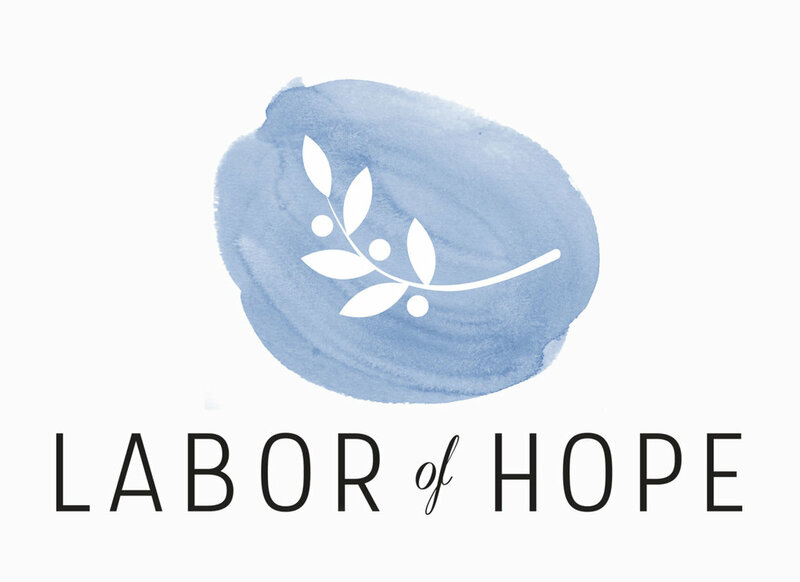 Labor of Hope: Providing comprehensive support for complicated pregnancies. Fruitful is a free fertility mentorship program that connects those struggling with infertility with those who've been through it firsthand. Because no one should have to go through this crap on their own. Fruitful is a movement dedicated to connecting people experiencing infertility with the mentors, resources and support they need to make emotionally healthy decisions. Fruitful exists to encourage, inspire and support those struggling with the emotional fallout of infertility. SHARING – Infertility isn't shameful and sharing your story matters. EMPATHIZING – We strive to always lead with empathy for those trying to conceive. SUPPORTING – We exist because no one should have to go through infertility alone. Gathering Hope is a collection of people who have been touched by pregnancy and/or infant loss and have committed themselves to connecting families to the available resources, communities and support structures to help bring about healing and comfort. Passionately advocate for survivors of miscarriage and infant loss. Allow for a safe place to grieve, share, and celebrate babies. Use our pain as a delivery system to reach others who may not know Christ. Build safe and meaningful relationships. Deliberately pursue our mission while building stability within the organization. EXPECTFUL is a guided meditation app for your fertility, pregnancy & motherhood journey. Meditation has been shown to improve your fertility, enhance fetal health and improve the connection to your growing baby. It also decreases stress, enhances immunity and can decrease pain during labor. Each meditation has been customized to guide you through preparing to conceive, pregnancy and motherhood. These guided sessions have been meticulously crafted by our team of licensed hypnotherapists, meditation experts, and sound engineers, and are available online and through our iOS app. We believe that everyone has a right to a healthy mind, especially aspiring and new moms. So for every subscription purchased, we give one to someone in need. We call it 3 for 1, because your meditation practice will benefit the lives of three other people: your baby, another expectant woman, and her baby. It's our joy to support like-minded organizations. If you are interested in partnering with Silas Project, please connect with us through the form below. Thank you for your interest in Silas Project! We are happy to consider you/your organization as a partner. As we are a small team, please be patience with any delay in response. We will get back to you as soon as possible.